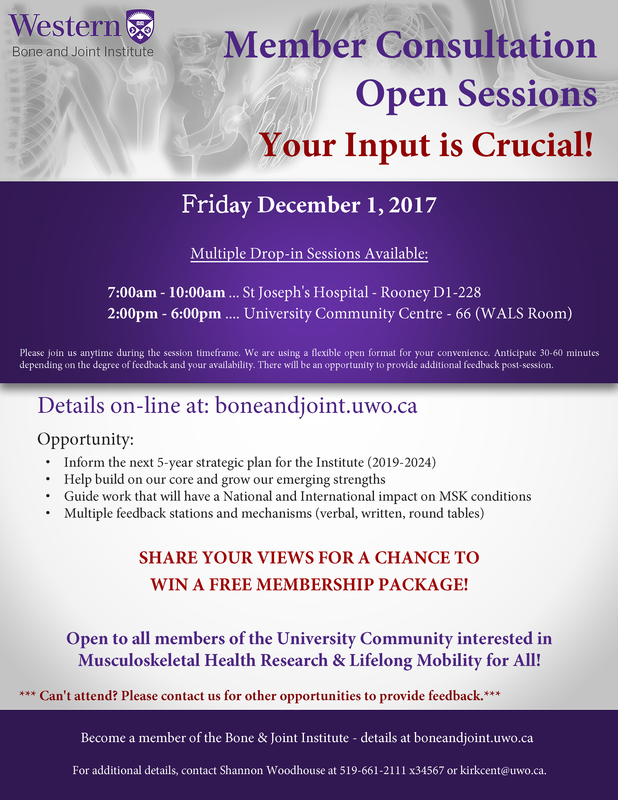 Membership interaction, consultation, and engagement is a priority at the Bone and Joint Institute. We solicit and appreciate the feedback and input of our members and do our best to incorporate constructive suggestions into our goals, strategies, and activities. See below a list of current opportunities to provide feedback on specific topics. If you have general feedback, please do not hesitate to contact us at kirkcent@uwo.ca. 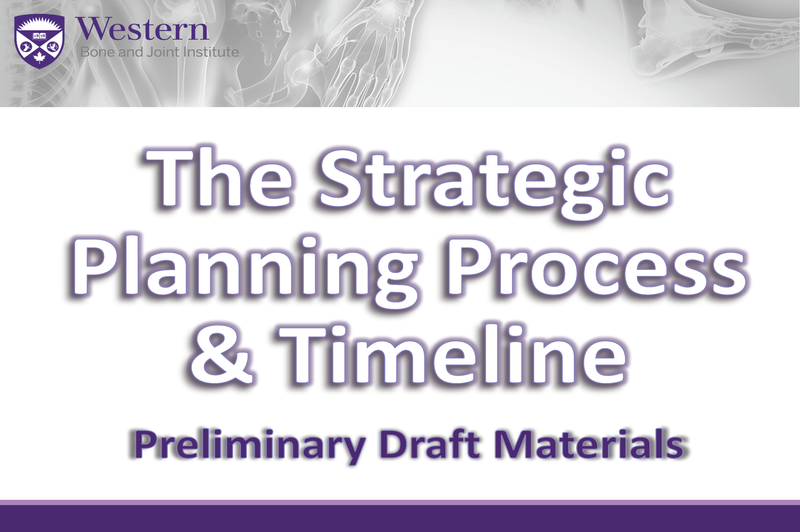 We recommend that you open the draft materials above prior to completing a feedback survey. It will be a useful resource as you work through the questions! I could not attend the Interactive Consultation Session on Dec 1/17, but want to review materials and provide feedback. I attended the Interactive Consultation Session on Dec 1/17,but I have additional comments to make.